One of the new additions coming to Everquest 2 is the Ascension Class, a way for players to continue increasing their power after reaching max level. Because Ascension Classes work differently from normal classes, the dev team has elected to put together a post outlining what players can expect from them. 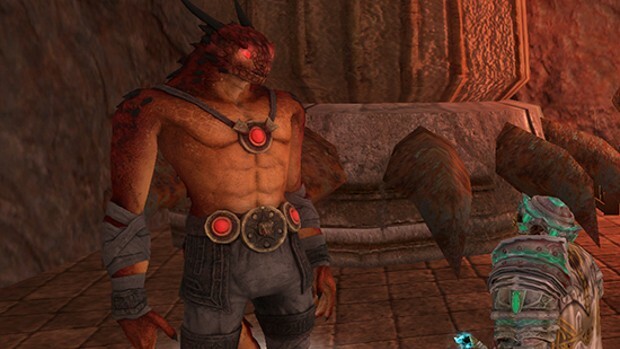 To access Ascension Classes, you will first need to complete the Kunark Ascending signature quest line and speak with one of the four masters in the Obulus Frontier. Each master represents a different class: Elementalist, Etherealist, Geomancer, and Thaumaturgist. They grant the player the ability to shift into an avatar of that Ascension. This converts all damage done from any ability that doesn’t deal damage based on the weapon type, as well as most pet and swarm pet damage. As with regular classes, the Ascension class can be leveled. This is done using a scroll given by the master in the Obulus Frontier. The scroll grants a buff allowing the character to earn a specific amount of Ascension experience. Once the experience has been gained, a new scroll will need to be obtained in order to continue the process. It is also possible for players to change their Ascension Class by simply going to the Ascension master and picking it up. You will not lose progress on the previous class and can return to where you left off. If you’d like to check out the full blog post on Ascension Classes, you can do so on the EQ2 site. In addition to Ascension Classes, the EQ2 team also dropped a post announcing a special anniversary mount and event celebrating the 12 years the game has been in service. To celebrate the event, the Heroes’ Festival has returned. By participating in the the event and completing 6 quests, players can earn a new winged mount.